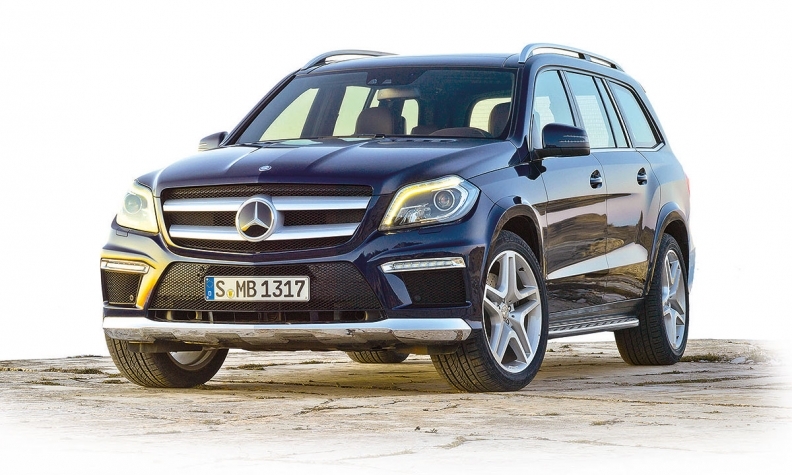 Among Mercedes-Benz products, the diesel-powered GL-Class SUV appears to be most affected by product delays caused by more stringent EPA/Natural Resources Canada emissions testing. Canadian Mercedes-Benz dealers are getting creative by offering alternative options to appease customers as delays of 2017 model vehicles limit stock at dealerships. It’s all because of Natural Resources Canada’s tougher vehicle inspection processes in response to the Volkswagen diesel emissions scandal. Mercedes-Benz was the first company to tell Automotive News Canada that 2017 vehicles are being delayed up to two months due to more intense scrutiny from the U.S. Environmental Protection Agency (EPA). EPA certification is accepted by Environment and Climate Change Canada (ECCC), which means the U.S. regulator’s closer look – both at diesel- and gasoline-engined models – can cause delays in Canadian delivery schedules. In Calgary, Perry Itzcovitch, dealer principal at Downtown Mercedes-Benz, says all Mercedes-Benz dealers have experienced delays and longer delivery times. The delays have been mostly diesel SUVs, GLS and GLE, Itzcovitch says. “It’s not a huge issue on passenger cars since most are gasoline-powered and not suspect,” he said. However, neither the EPA nor ECCC would specify which models have been delayed. “There are no delays in the entry of vehicles due to the Canadian regulatory process,” ECCC Senior Communications Advisor Maja Stefanovska wrote in an email to Automotive News Canada. Nor would the EPA say which vehicles are being tested or delayed. “I am not able to confirm the status of preproduction vehicles until manufacturers introduce them into commerce to respect any potential confidential business information,” EPA spokesman Nick Conger said in a statement. Mercedes-Benz has more than 100 model variants for sale in Canada. August marked the first month in which wagons and trucks surpassed 50 per cent of total sales for the company. In the province next door, a Mercedes-Benz dealership in B.C. has become creative in an effort to keep orders filled and customers happy as it waits for new 2017 product. As Dean Rideout of Langley Mercedes-Benz waits for approved 2017 models to arrive at his dealership, he has turned to selling year-old demo models. Rideout said the delays haven’t cost his dealership much, if any, loss in sales. Mercedes hasn’t floated the idea of financial support or compensation to offset any potential sales losses, Rideout said. Mercedes-Benz was Canada’s leading luxury brand for sales in 2014 and 2015, accounting for 16.1 per cent of the market. EPA scrutiny did delay entry of 2017 BMW models but did not affect gas-powered models, company spokesman Rob Dexter said. The delays created by the EPA “are old news,” he insisted. The length of the delay “might have been a couple of months, at most,” he said. BMW’s X5 and 3 Series diesel models received EPA and CARB approval Sept. 27, delaying the sale of both, Dexter said. The two models should have been for sale near the start of the fourth quarter. While both are in full production, only the 3 Series is in Canadian showrooms. The first of the X5 shipments will arrive in January, about 10 weeks behind schedule.